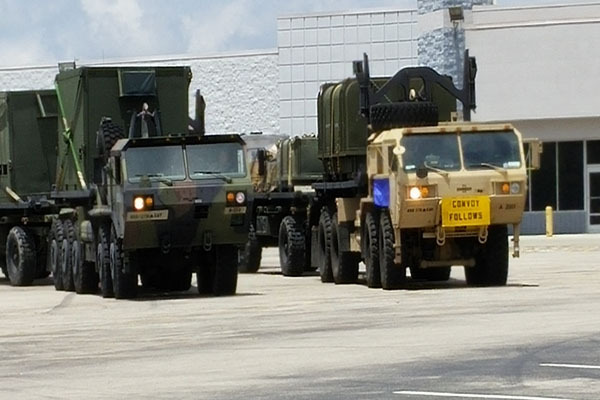 Across the country we are now witnessing a sudden onslaught of strange events including the build-up of military vehicles at or close to at least two Wal Mart stores, one which we can confirm has been going on for a relatively long period of time. 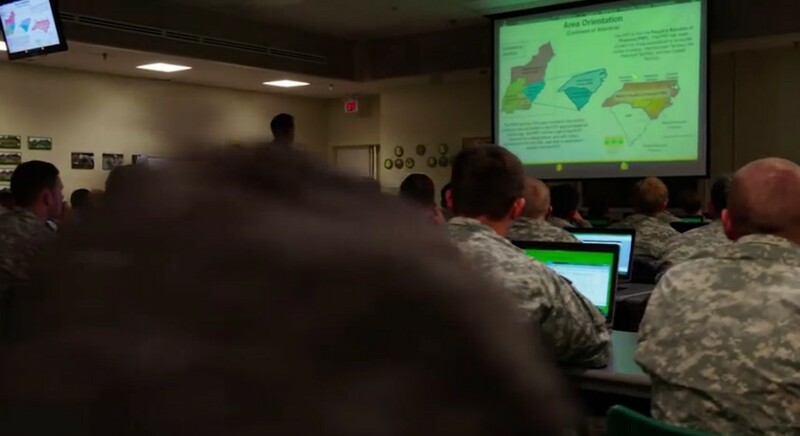 We also have gotten INSIDE of a US Army PSYOPS training class at Ft Bragg, North Carolina, via one of the US Army’s own videos and found out for certain that they are researching ‘key personalities’ in AMERICA, not the Ukraine, Iraq or Russia. 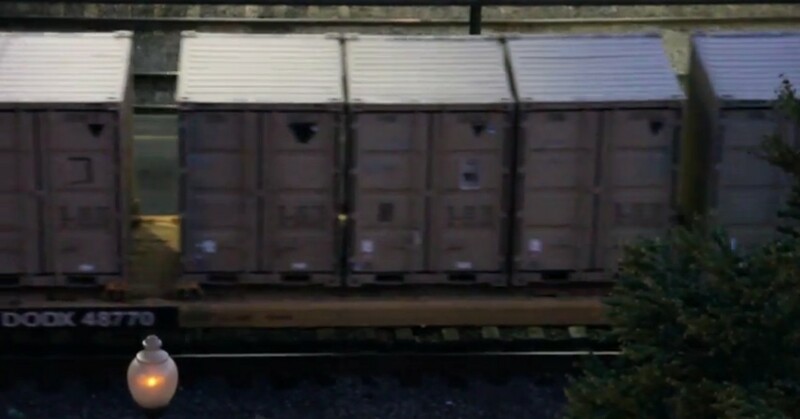 We also see an amazing video below of a military convoy train in Portland, Oregon, that radio host Pete Santilli tells us is carrying GUN CONFISCATING equipment though other commenters leaving messages on the video believe the purpose for these containers is much more sinister than CONFISCATING guns, they say these are carrying weaponry and likely ammunition to be used against the American people. An All News Pipeline reader in Knoxville, Tennessee pulled into the abandoned Wal Mart parking lot seen at top right on Sunday afternoon after witnessing what he believed to be a military convoy stopped in the store parking lot. 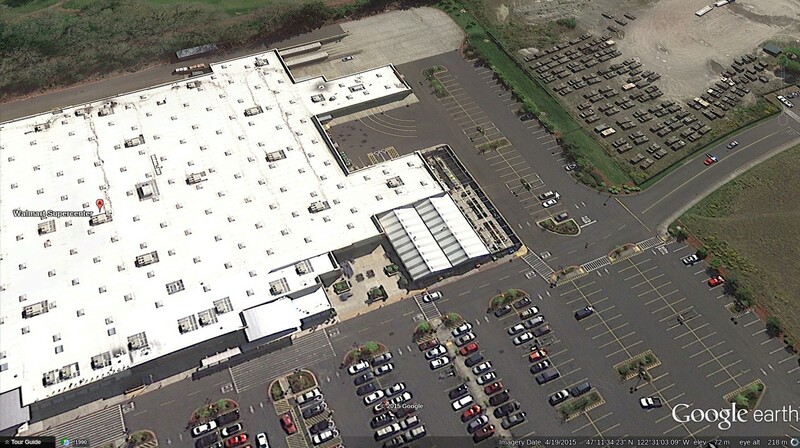 Back in 2010, Wal Mart folded ship at this property at 7340 Norris Fwy to move a block or so down the road to 7550 Norris Fwy to set up their new shop, and while our reader tells us the old Wal Mart is still empty, he sees the new security cameras on the store. Another ANP reader in Lakewood, Washington stopped by their local Wal Mart only to be greeted by the picture seen top left of a fenced in grassy area right next to the Wal Mart store there. Judging by the pictures he sent us (more seen below) and the Google Earth images we took of it (directly below), we feel there are probably 100 US military vehicles parked there. In the 1st two screenshots seen below, taken from the 1st video below put on YouTube by USArmyRecruiting, we actually get to SEE inside a Fort Bragg, North Carolina Army Special Ops ‘PsyOps’ class. In attempting to decipher the power point presentation slide we are given witness to, we see what appears to be an ‘area orientation’ going on. 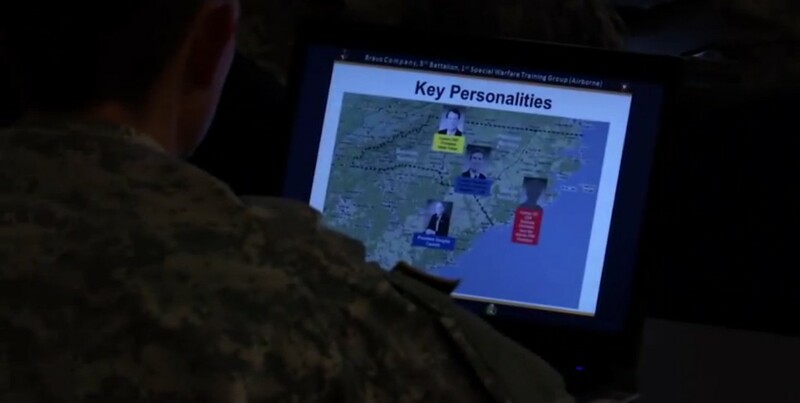 However, these psy-op operatives aren’t learning about Afghanistan or Iraq in this slide; it’s quite obvious that this area orientation focuses upon the mid-Atlantic region, specifically North Carolina and South Carolina as seen below. The title of the slide appears to be called ‘Area Orientation: Continent of America’. This video was put out by the US Army in attempts to recruit new soldiers, specifically ‘psyops’. While we’ve been told that Jade Helm is in preparation for overseas duty, we specifically see the same group of soldiers who are training to be in psyops studying to master the human domain, the last unconquered territory, America. Pay close attention to the 4 minute 5 second mark onwards. 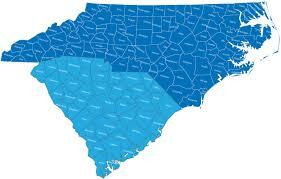 Notice the map of North Carolina and South Carolina. Why are they studying the ‘key personalities’ of South Carolina? Notice, the map also shows much of the East coast up to New England. This train convoy is something else. Listen to the person who is taking the video. He obviously knows what’s coming. 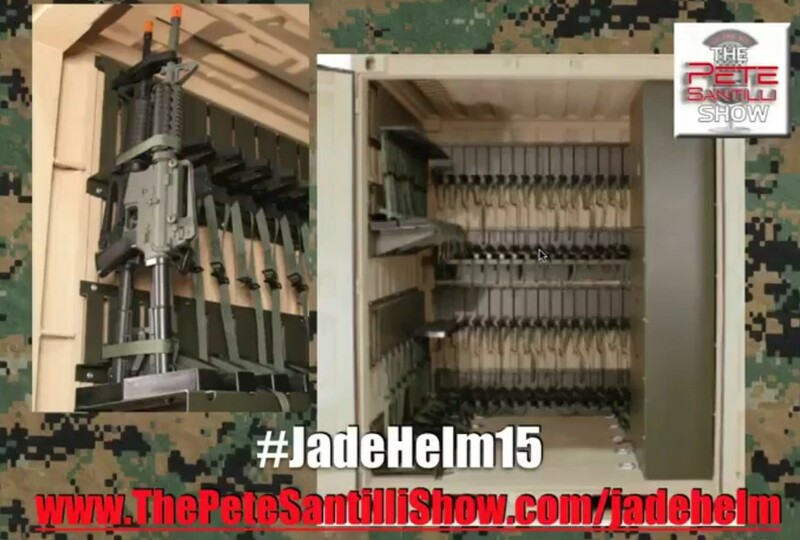 Pete Santilli gives us his take of the video above in the next video. Obviously, ANP does not condone that any of these military convoys be stopped PHYSICALLY by the American people as suggested. We do, however, advocate CALLING OUR REPRESENTATIVES and demanding that the overthrow of the American people be stopped, NOW. This next set of pictures is from Tennessee at a closed Wal Mart. According to our videographer, new security cameras have been put up around the closed store. He asked the soldier if this was part of Jade Helm 15 and the soldier told him no, they simply had an equipment mishap and stopped there. Did you really think that Americans were going to be excused forever from the normal activity that so many other peoples of the world have to deal with on a daily basis from the US military? Well it looks like you were wrong! Actually I believe Americans deserve to be on the receiving end of US military offensive actions for once. If you can’t take it you shouldn’t be handing it out to other nations! Let’s see how you like your own medicine for once.